Ford Motor Company has announced plans to introduce the stop-start technology in all of its major vehicles as part of their plan to become the leading automaker in terms of efficient technology. The start-stop technology helps save fuel and control CO2 emissions by automatically stopping the car's engine when the vehicle is in idle for a brief interval (at traffic signals) and starting when a sensor detects the driver's foot is lifting off the brake pedal. Because of this, the internal combustion engines spend less time idling which in turn reduces fuel consumption and emissions. Vehicles which spend a good amount of time waiting at signals and traffic jams can see significant fuel saving because of this technology. Ford first launched the stop-start system on the 2013 Ford Fusion. The optional feature is available at an extra cost of $295, on the sedan that has the 1.6-litre EcoBoost engine. The second vehicle to be fitted with stop-start is the next-generation Edge. The Edge concept was showcased at the LA Motor Show with stop-start and a host of other futuristic features. 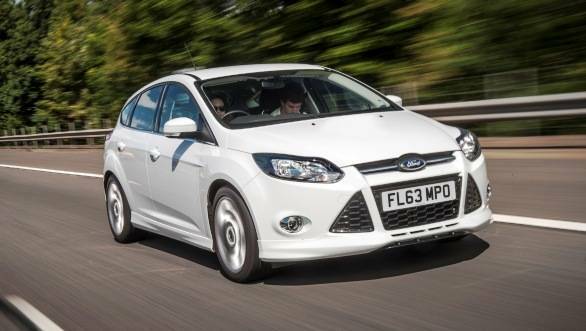 Ford has also claimed that drivers can save more than $1,000 on fuel costs over five years. The technology has not been a demand-raker, but this could change once customers realise the the pros of having it installed in their cars over a period of time. 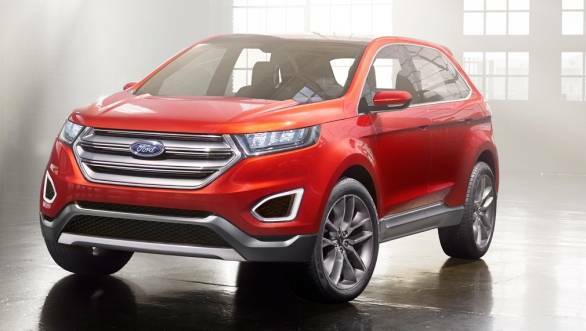 The Ford Edge Concept was nearly production-ready when it premiered at LA. It is a mid-size crossover that will be launched sometime in 2014 in the US, Europe, China and South America. It gets a next-gen EcoBoost engine with stop-start technology. The other features that showcased in the Edge were fully assisted parking aid which lets customers park their vehicles at the touch of a button, or even by remote control, advanced obstacle avoidance systems, adaptive steering, active park assist, lane-keeping system, adaptive cruise control and collision warning with brake support, blind spot information system. Although unconfirmed, the next vehicle from the Blue Oval that will have the stop-start system may be the F-150 pick-up.